You Don’t Have to Shout! Well you can if you want, or you could whisper in our ear. Either way, it is important to let us know if First Congregational United Church of Christ, Boulder is in your plans. Together we are powerful. And together we can secure the future of First Congregational UCC, Boulder. Planned Giving is a way to support First Congregational United Church of Christ, Boulder in the future through arrangements you make today utilizing a planned gift. A planned gift to your church is an expression of you and your family's values and commitment to Christian Stewardship. It is a way of saying that after your family and loved ones, these are the causes that matter most, and providing for them is important to you. 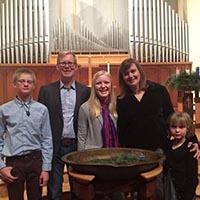 A gift from your estate to First Congregational United Church of Christ, Boulder strengthens our endowment and sustains God’s mission through the ministry of the Church – a lasting legacy and powerful response to God’s generosity. Because giving is an act of faith and an expression of gratitude. Because we are inspired by the covenants of First Congregational UCC, Boulder to leave a legacy that will ensure its future. Because we love the people of this church and want to contribute to making a lasting difference in their lives. Because we have a compelling, progressive Christian voice that we want to sustain and extend. Because the world needs the light of strong, faithful congregations like ours, communities of faith that embrace openness and inquiry and practice compassion, acceptance, and love. Because we want this church to endure so others who are not here yet will have a faith home. Because First Congregational UCC, Boulder shines, for more than 150 years, as a beacon in the city of Boulder and surrounding communities, and we want it to continue. In 1864, fourteen Colorado pioneers had a bold vision: a church that would serve as a beacon of hope and tower of faith to a growing community. Those pioneers built First Congregational UCC, Boulder’s, first church, and for more than 150 years it has served as a vibrant center of worship, fellowship and service. As benefactors of a large vision and generous commitment, we believe it is our turn to gather the resources to ensure that the witness of this faithfulness endures, now and for generations to come. Your well-considered planned gift can make an impact on a specific area of need. Consider directing your planned gift to these core missions and ministries or directing your planned gift as an unrestricted gift to First Congregational United Church of Christ, Boulder. Supports the congregations’ ministries of service and compassion and provides grants to non-profit organizations that are in keeping with the church’s covenants. Maintains our magnificent buildings as a center of community life in Boulder as well as for the worship of God and the activities of our congregation. Founded in honor of Rev. 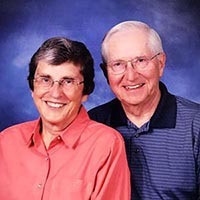 Bruce MacKenzie, Senior Minister, 1970-1997, and his wife Jeanette, to support prominent guest speakers in theology for a weekend of lectures and seminars. Supports the congregation’s vibrant ministries of congregational and choral singing and instrumental music. Founded in honor of Rev. Martie McMane, Senior Minister, 2000-2016 to support our Arts Ministry, which provides opportunities at the intersection of creativity and spirituality, including hosting art exhibits for the community. Supports an annual organ concert in honor of Jane Sawyer, Director of Music, 1997-2012, and provides funds to maintain our sanctuary and chapel organs. Through a provision in your written and executed Will or living trust, you can make a planned gift (or an outright gift) to First Congregational UCC, Boulder in the form of cash, securities, real estate or personal property. There are many types of bequests. Consult with your attorney to choose the one that best fits your needs and intentions. You can turn underperforming or non-income producing assets (cash, stock, CDs, savings bonds, etc.) into a gift to First Congregational UCC, Boulder that provides income to you or you and a loved one. (One example of several available options is a Gift Annuity.) Your UCF Charitable Gift Annuity will return fixed, quarterly payments for life and provide tax benefits, too. Naming First Congregational UCC, Boulder as the beneficiary or one of the beneficiaries of a qualified retirement plan such as an IRA, 401(k), or 403(b) plan will accomplish a charitable goal while realizing a significant tax savings. Name First Congregational UCC, Boulder church as the beneficiary of an existing life insurance policy; donate an existing, paid-up life insurance policy you no longer need; or purchase a new life insurance policy and name First Congregational UCC, Boulder as the owner and beneficiary. For over 50 years the Church has been a mainstay in raising our family, and in strengthening our faith to meet life’s challenges. As a relatively young family - our kids were 9, 7 and 3 when we found First Congregational UCC, Boulder - one of our goals was to become more active in social justice issues. We had been living with a lot of “shoulds,” which was exhausting. Sitting in the pews every Sunday gradually changed our perspective; we felt connected and supported! First Congregational UCC, Boulder helped us become more conscious of our own values, and we felt empowered to change our lives and how we spend our money in alignment with those values. We decided to move to a smaller house, which freed up time, energy and money. First Congregational UCC, Boulder helped our family define our values, and life now feels grace-filled and abundant. I would like to learn more about supporting First Congregational UCC, Boulder with a planned gift. I have already included First Congregational UCC, Boulder in my estate plans. I am interested in talking to someone about legacy giving to the church. If you are working with a professional advisor or if you are advising a donor, here's a handy guide for including First Congregational UCC, Boulder in a charitable estate plan.